It’s hard to believe it’s that time of year again, and even harder to believe this is the sixth of these lists I’ve done. This past year has been a bit different than the first five years for the site. First, there are now several contributors who reviewed many books I’d have liked to have read and that may have made this list. Second, film coverage has significantly increased, given my regular reviews of Criterion Collection releases and my participation in The Eclipse Viewer podcast. 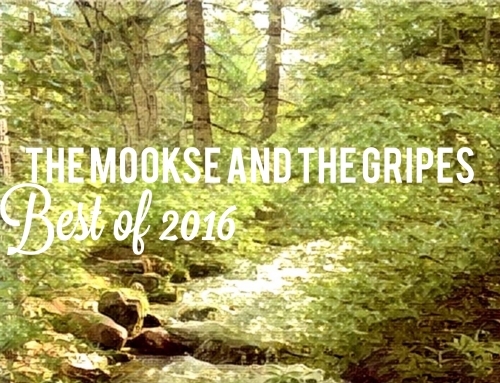 The list below, though, is old-school: it simply lists my ten favorite books that I read this year and that I reviewed on The Mookse and the Gripes. Links are to the original reviews. With no more explanation, here are my ten favorite reads from 2014, listed in the order in which I reviewed them. I knew when I finished this book at the beginning of January that it would make this list. It made it easily. Lives of Girls and Women, by Alice Munro (original post, with links to all story reviews): I hope anyone paying attention to this blog knows that Betsy and I are working our way through all of Munro’s work. We began this collection last year and finished it early this year. We accumulated 24,000 words on the eight stories, and I don’t think we covered a fraction of what’s in this beautiful, important book about a young girl’s coming of age in rural Canada. And upstairs seemed miles above them, dark and full of the noise of the wind. Up there you discovered what you never remembered down in the kitchen — that we were in a house as small and shut up as any boat is on the sea, in the middle of a tide of howling weather. Only now do I realize that four of the ten books here are short story collections, each unique and masterful. Do not neglect the short story. This being the first book in a trilogy called The Southern Reach Trilogy, the story continues on in Authority and Acceptance, each also published this year. What with my love for short stories and Aira, I’m thrilled that New Directions is putting out a collection of his short stories in 2015. I’ve read about half of it, at this point, and promise you’ll be hearing about it more at about this time next year. 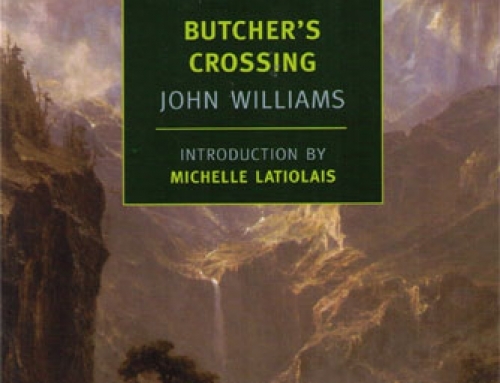 One thing I’d like to note is that I read this book in the middle of a Bolaño spree, during which I reread both By Night in Chile and 2666, two of his masterpieces. This book fits well in that crowd. It’s no slight remainder. 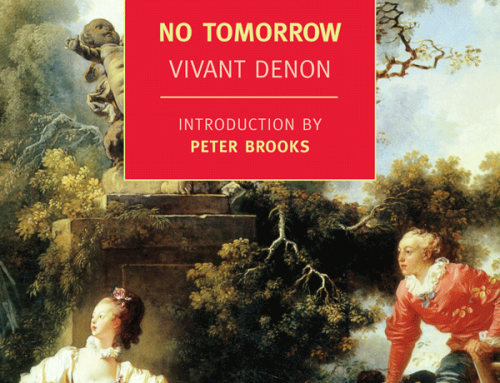 NYRB Classics published this book along with Friedman’s debut novel Totempole. I want to wish you all a wonderful holiday season and a very happy 2015. Great list, Trevor. And a timely reminder to get hold of Annihilation! Hi Steven, I hope you’ll come back and let me know how you like Conversations! As for Troutbum, I’m afraid that wasn’t me, but whoever it was seems to have great taste :-) . The only book on this list I got around to is Dept. Of Speculation, which merits its place on so many end of year lists (including mine). I think I’d happily read any of the others listed, but the one that snagged my attention is The Time Regulation Institute. I shall definitely grab this one. Thanks for the introduction. What a great list! I’ve had The Dept of Speculation on request from the library for awhile now, but many of the others are new to me, so thanks for those. I love that you read and review so many books in translation. Happy 2015–hope it’s filled with lots of rewarding reading! Great List, Trevor. I am on a beach in the caribbean with the Aira & the Bolaño. The only reason I didnt get Annihilation yet was because I have Geoff Dyer’s Zona here with me. 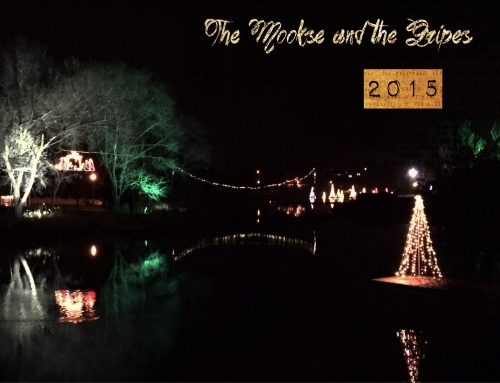 Thank you very much for a wonderful 2014 on Mookse and hope 2015 is even better for you and the blog. Thanks for the comments, everyone, and for the well wishing. It was also a nice week-long break, but with energy we’re back at it here! Way behind reading reviews Trevor, so only seeing this now. Great list – I have the Gass and am looking forward to it immensely.